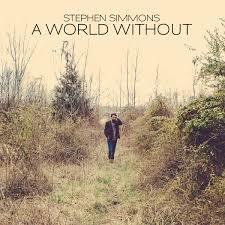 ‘A world without art has no hope’ ponders Stephen Simmons on the last track of his latest album, but fortunately its detachment from reality is confirmed in the subsequent CD liner notes. In fact Stephen is forever grateful that he has been able to practise his own art form comprehensively over a considerable number of years including the last decade both in a recording capacity and overseas touring act. A WORLD WITHOUT had its US release last year, with a switch in focus now to European audiences ahead of yet another visit planned for this spring. 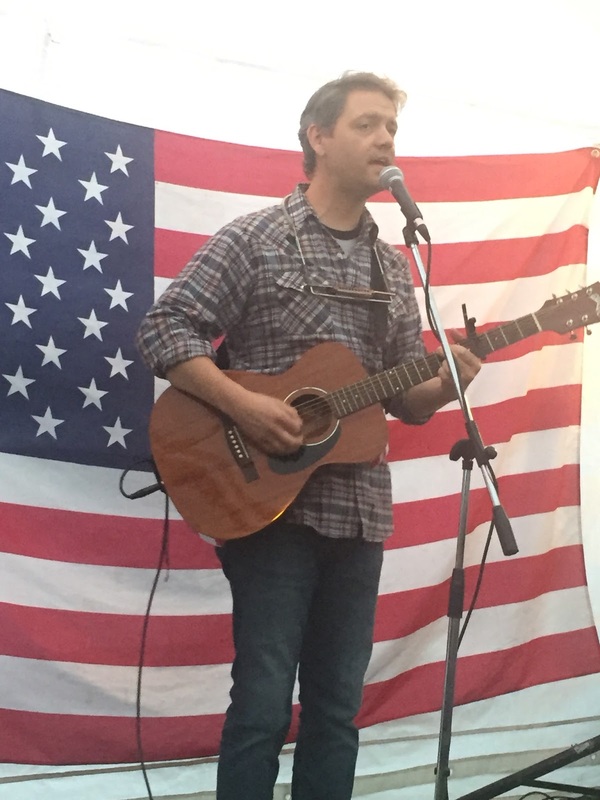 For those familiar with Stephen’s work, the content continues in a similar vein, with a range of tunes springing out from a singer-songwriter base often in a rock ‘n’ roll direction. Overseas, Stephen will always be aligned to his country music roots especially with a home base of Nashville and an upbringing in small town Tennessee. Eleven self-penned tracks form the primary content of this record following an opening piano prelude composed and played by his band partner Molly Jewell. She in fact joined Stephen for some house concert dates a couple of years ago. However his general touring mode especially in the UK is as a solo artist, although frequently he is joined by the full band, mainly for dates on continental Europe. Part of the themes that echo on the new record do call in on the subject of solitude, alongside the perpetual tribulations of confused love, the wonder of travel and perusing the grey area between fact and fiction. Without the necessary insight of song background information or their associated live stories, the listener can only deduce the relevant meanings and inspirations. ‘Baby Brother’s Got A Baby Now’ possesses a strong sense of reality, while ‘West’ assumes a degree of migration-induced fiction. Elsewhere one can only surmise the love related origins of ‘Fairy Tales (The Flower’s Burden)’ and ‘The Music Highway’. However the expansive musings on ‘Puritan Cowboy’ could only possibly be of an autobiographical nature. Regardless of the underlying meanings, each song reaches the listener in fully primed condition enabling the pleasure of enjoying the content to be a smooth process. The latter mentioned track, along with an earlier one referencing part of I-40 linking Nashville with Memphis, are among the album highlights. Add to this the lovely chorus adorning ‘Silver Moon Saloon’ and the contemplative nature of the closing track ‘On Top Of a World’ gives you a solid quartet from which to get to grips with the rest of the album. Musically the journey mixes the tempo of the tender ballad with the upbeat rocker and from a performer groomed on the country music icon there is significant pedal steel, although not over done to make this a shoe-in genre release. To the contrary it is difficult to pigeon hole this album which is probably a credit to Stephen’s independent streak. Stephen Simmons is an artist to whole heartedly believe in. There are no short cuts or gimmicks and you are led to assume that the long road will always be taken if it’s the right road. Intelligent, intuitive, inquisitive and contemplative possibly go a long way to defining his song writing and it has been a pleasure acquainting oneself with his body of work over the last few years, both on record and in several live shows attended. A WORLD WITHOUT is an extension of a principled troubadour re-enacting their artistic calling and should be marked as a record to check out.